When I first started out working for a large bank in Foreign Exchange (FX) back in 1985 we didn’t have any women dealers, the few women that worked on the dealing floor were in admin and operated telex machines as many FX deals were made and confirmed this way and women could type faster. Fast forward 27 years and whilst the majority of my trading students and those opening spread betting accounts are men, I am pleased to see a good number of new female students achieving excellent results and beating their male counterparts. The ratio of men to women is still around 85% men so there’s still some way to go to reach equality but it’s far more common to see female traders and I encourage more women to take up trading and Financial Spread Betting. Recent research published by Financial Spread Betting and CFD brokers City Index reveal a 1000%+ Rise in Female Traders in 10 Years. 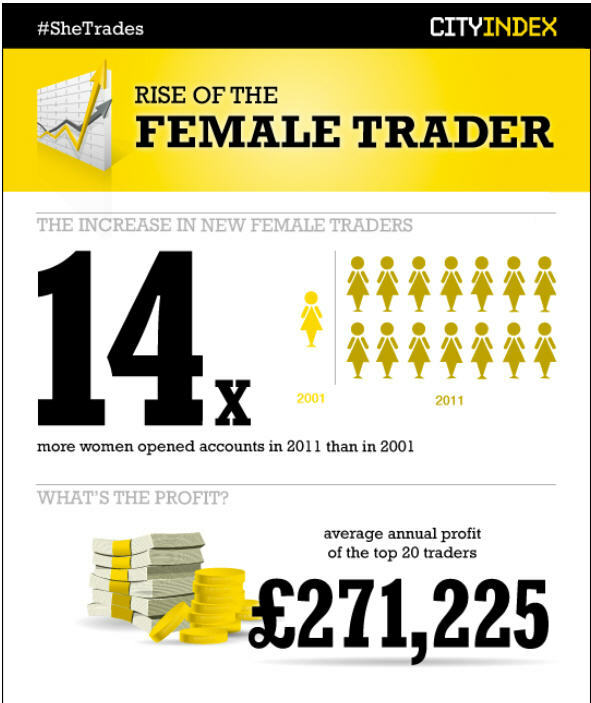 Since 2001, the number of female traders opening an account with City Index has risen by 1434%; with the number of trades being placed rising by 194% in the past four years alone. The big factor leading to more women trading is the internet and the fact that you can trade without having to speak to an arrogant male dealer and trust me the majority still are which can be very intimidating. The excellent online platforms mean that everything can be done without ever having to pick up the phone. 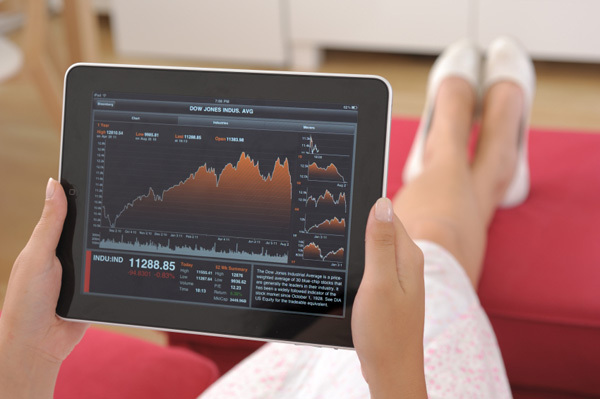 The new Ipad and mobile device platforms also make it easier for women to trade during lunch breaks or on the move. 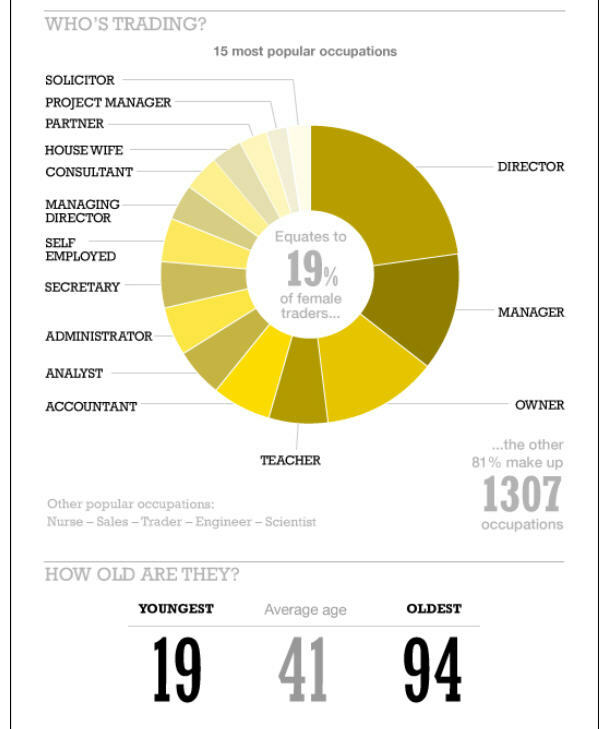 One of City Index’s most successful female traders, a 51-year-old living in Windsor in the UK, has profited just over £1,200,000 to date (May 2012). A 19-year old shop assistant – the company‘s youngest active female trader – has made a total profit of £11,222, whilst a contract teacher earning £32,000 a year has profited over £158,000 through her City Index account. Women are still in the minority but they have a few tricks to teach the men so for the male readers try to pick up some tips from your female counterparts. Here are five possible reasons why women do far better at Financial Spread Betting and other areas of trading. As a trader we have to realise that many of our trades will be wrong and it’s just part of the business but men hate to be wrong and are more prone to “blind hope” that a trade turns around. The correct approach is to follow a trading system or strategy, trade a relatively small part of your trading capital and cash in losses quickly rather than stubbornly sticking with a bad trade. Remember you can have more losing trades than winning ones and as long as you keep the losing trades small and the winners big – you’re still ahead. Contrary to popular belief I have found the women to be far more disciplined and less likely to panic then their male counterparts. Detaching the emotional side of trading from decision making is a very desirable trait to have. From my experience the reason men panic more is normally that they have overextended their accounts and allowed little margin for errors so price movements are exaggerated. My experience with women traders is that they never risk everything on one trade and normally keep higher cash balances/reserves. Sometimes the best trades are the ones you do not make, women are more selective and picky with new trading opportunities where as the men are quick to jump in and make a trade just because they want to be part of the action. Doing nothing and waiting for a better opportunity. Also women were happy to let winning trades run longer where as men had to fiddle often causing them to take profits too soon. I produce a 200 page workbook (Making Money from Financial Spread Trading) and two DVDs, yet many of the men never read it or if they do they just go straight to the trading system pages and ignore the rest. The DVD has a trading quiz and I deliberately placed the answers in a different section of the workbook which would require you to read the workbook or check the contents page, yet many men email to say that the answers are not in “their” copy. Not only do women read the manual they also email for help and clarification. Women also keep better trading records and keep trading diaries. Overall women spend more time researching a trade and asking questions and are less likely to trust a news headline or market “guru” tip without doing far more digging before going ahead. Whilst this can mean that sometimes women enter a little late into a trade overall it is better and more profitable to do so and make a little less and play it safe. Men tend to like to learn from experience, often sharing trading war stories on chat forums whereas women will try and find out enough up front to be able to sidestep them. Regardless if your trading using Financial Spread Betting, Contracts For Difference, Options, Margined FX or just buying and selling via a broker then if you want to improve your results then maybe it’s time to think more like a woman. This entry was posted in Uncategorized and tagged city index, does vinces stanzione course work?, financial spread betting, how to make money trading shares, vince stanzione, women traders. Bookmark the permalink.